Previously painted pool restoration in Wagga Wagga. Another excellent DIY job. Done by Ray in spring 2016. EPOTEC Tasman is used. A DIY project in Warriwee Sydney. Tasman is a favourite colour when seeking a deeper blue but not too deep. Here is a fine example DIY, over a sandblasted concrete surface. When you have red walls, Epotec in Dark Blue makes a great contrast. On the Gold Coast a nice Tasman pool has been created by the proud DIY owners. Due to inclement weather a tarp was used to keep the worst out. The end result is a pleasure for all to see. 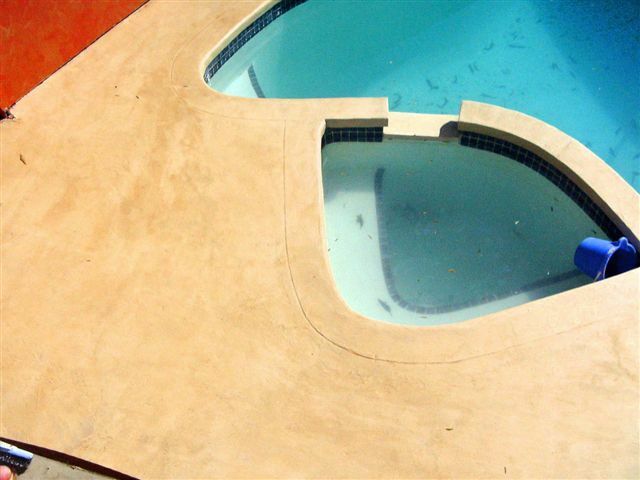 A worn concrete pool in Perth got a great DIY Tasman treatment and has come up a treat, according to its proud owner. In the day time it looks great , yet at night it really shows its true colours with a colour changing light.